Carver Danforth is quite the charmer and I can't believe how fast I fell under his spell! It took me a longer time to warm up to Molly, in fact at the beginning of the book I was ready to stop reading because I just couldn't find it in myself to like her. 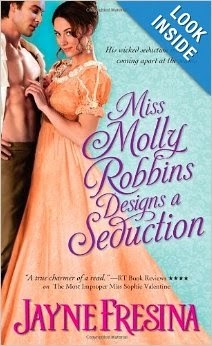 I choose to read historical romances for the innocence of the time and the heroines tend to be softer, a little more naive than modern heroines yet with a flash of gumption that makes them so very interesting but Molly was a bit more progressive than I'm used to. However I have to say I'm so very happy I didn't give up on the story because if I had I would have missed a fabulous adventure. I soon warmed to Molly and her more modern ways and enjoyed watching how her reactions often prodded Carver. This is the first story I've read by this author and I'm looking forward to seeing what else she has to offer as I enjoyed her storytelling skills. Dragon Awakened Deleted Scene & Giveaway!! !